A treasure chest holds something of value and some unexpected jewels and glittering remembrances. A treasure chest inspires deep searching, and a cultivation of a hard work ethic to obtain the treasure within. 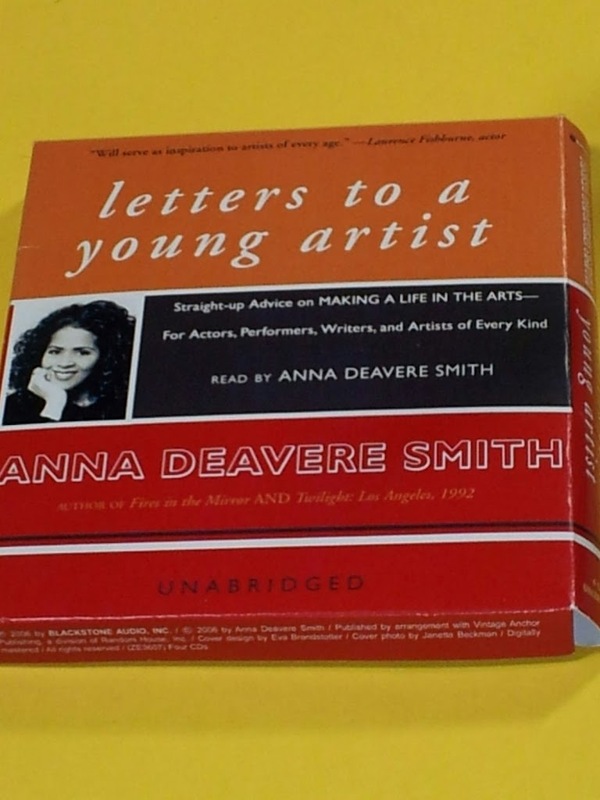 Every bit of this comparative to a Johhny Depp scene in his Pirates film is true of a 2006 production of “Letters to A Young Artist” by Anna Deveare Smith and read by her on an unabridged 4 CD set. She opens with Dear BZ, the young artist she is to mentor through a letter writing association. BZ is fictional, a repository for advice and gleaning from a life in the arts. 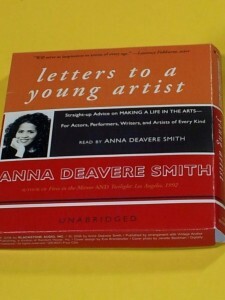 Her words written and read in letter format on many of the ups and downs of any career in arts. Experiences shed light on the journey and a few places to spend your time and energy to make the trip more worthwhile. The title directs attention to a young BZ character, but I found the advice relevant and timely as I pursue my interests in performances as a storyteller. Here are four CD’s packed with info in easy to manage portions. Each letter a chance to stop and think about the contents application as it pertains to your art endeavors. New artist, seasoned pro or anyone in the middle of that journey would spend time well listening to the treasures this CD reveals .